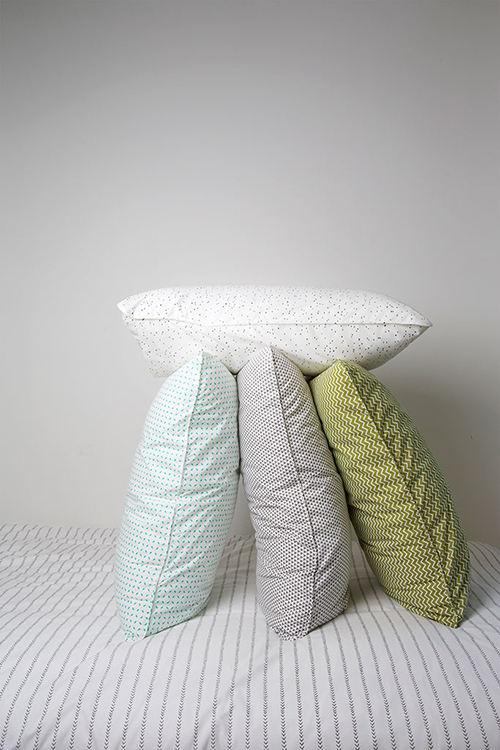 FK chats to the lovely Emma of fresh and contemporary bed linen label, Fictional Objects based on the South Coast, NSW. 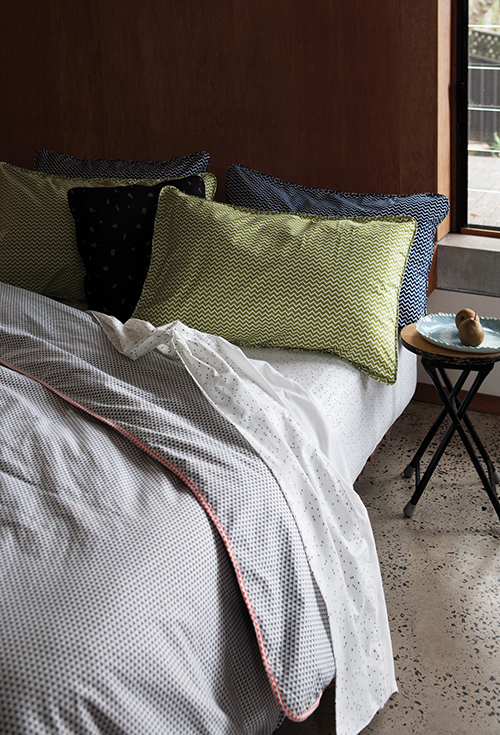 Who can resist getting cozy in these sweet bed linen designs! Tell us a bit about Fictional Objects and what products we can expect to discover? Fictional Objects is a project run by me (Emma Rutherford) on the south coast of NSW, with the collaboration and support of talented friends. 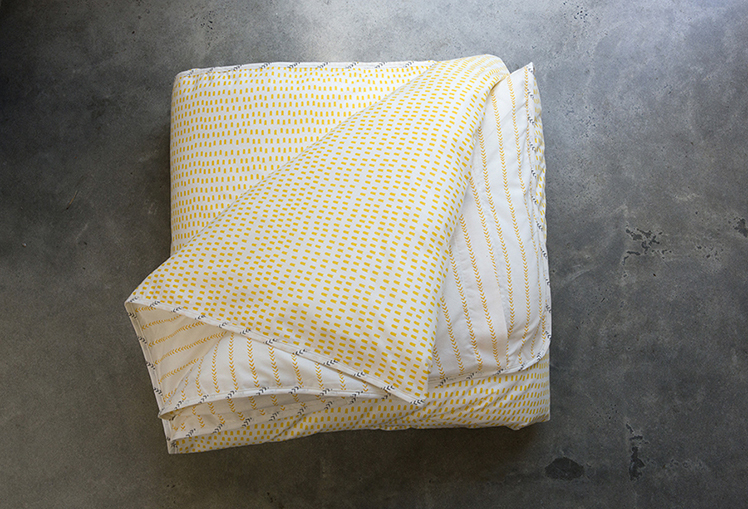 We create 100% cotton printed bed linen based on simple prints and a clean palette. 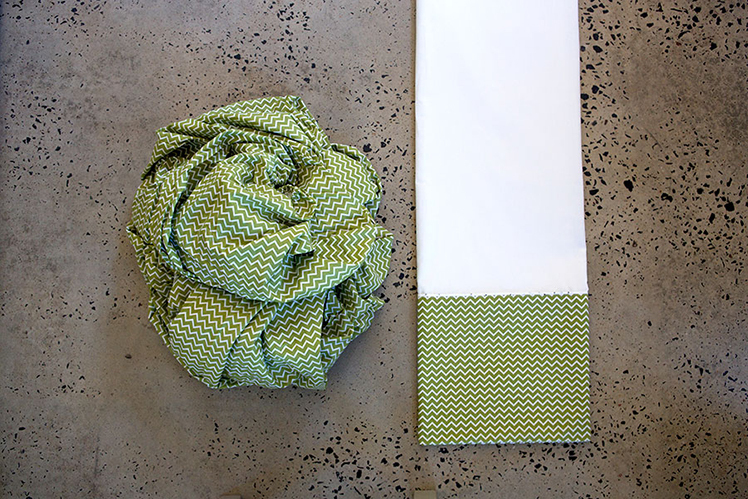 Our prints and products are designed in Australia through processes of drawing and collage and construction with fabric and paper. We set out with the aim to deliver well-manufactured and useful products treasured by their owners for their carefully designed detail and character. My background is in visual arts, I have always been interested in pattern, repetition and mark making, either naturally occurring or in constructed surfaces. In 2011 I was creating prints for upholstery in small runs for commissions and looking for an opportunity to turn it into something larger when I was approached by a friend to create some printed bed linen. 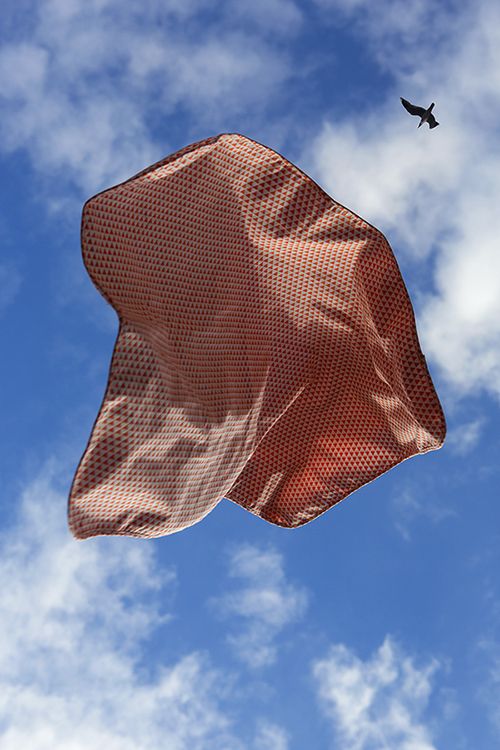 The project grew into something much larger as I worked on ways to manufacture the designs, and Fictional Objects bed linen was born in December 2012. Good design, clever ideas and contemporary art inform my thinking and drive me to create a simple, approachable and successful aesthetic. I am always excited by the idea of our products cohabitating seamlessly with other beautifully designed objects. Thinking and talking with other creative minds, both buyers and makers, drives me to build better products. There is so much visual input available to us, I think we are so lucky to have instant access to such a wide range of media and ideas, I find myself continually processing and re-thinking this into my pattern making and product planning. My creative workspace is flexible. I live and work in a beautiful, open, concrete and wood house near bushland and the ocean which I share with my two small children and my husband. The landscape within and outside the house is ever changing and my making and ideas are influenced by that. There is a driving need to create order within the chaos but also, always a reaction to the unplanned juxtapositions of light and colour that comes from a active house (inhabited by small people). I also share an office near-by with some really talented local idea-makers that force me to sit in one place and get things done. 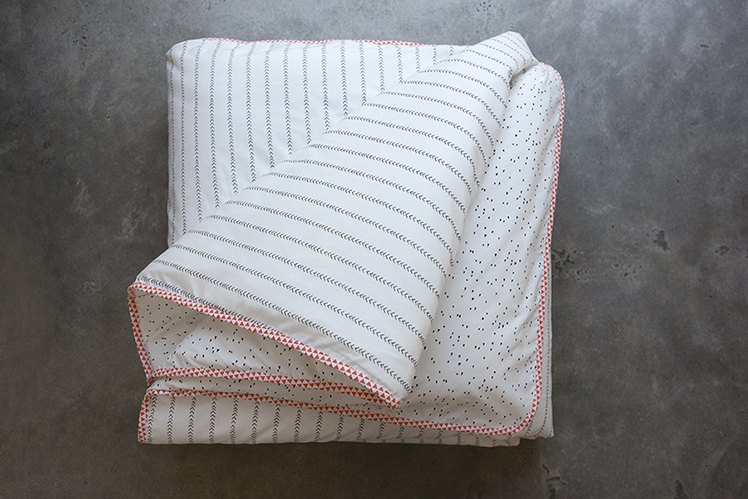 Although bed linen is relatively simple in construction, the scale of the fabric and products has created small hurdles to overcome in each step of the manufacturing process. Managing overseas production is challenging in itself, but solving the problems is so rewarding. What new plans do you have for Fictional Objects this year? Fictional Objects is now in its second year. 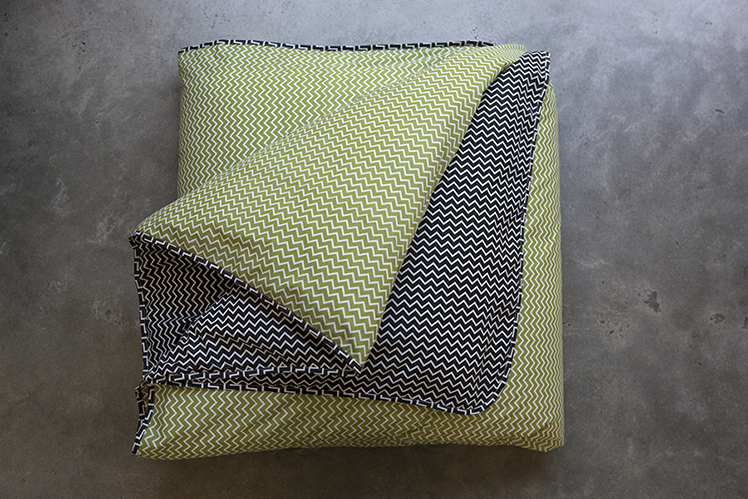 We have a new range of bed linen prints being released in June. 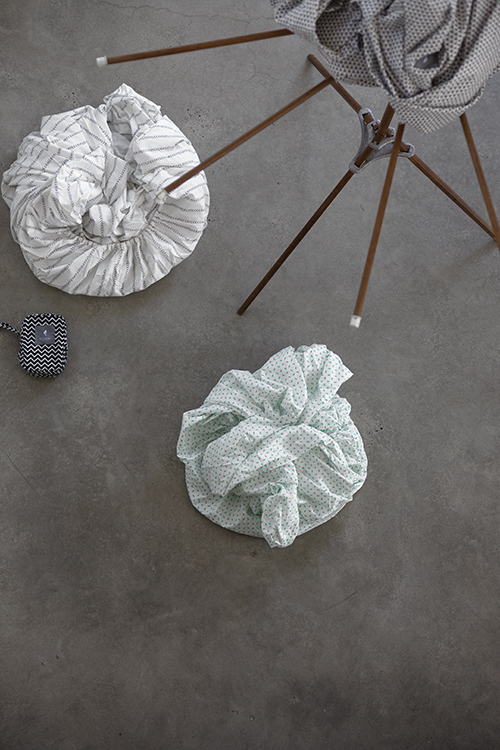 We continue to work on, and will release some new ‘objects’ in 2014, but primarily want to focus on delivering amazing bed linen. We aim to keep our group of retailers small and keep volume low, to maintain the integrity and boutique quality of our product and brand.